Literary evidence suggests working with leaders, teams and companies to bring more candor to work could be a pipe dream. It’s been a rough two weeks for me and my conviction around the availability of candor in business. You know how you can see a really scary horror movie and replay scary images for months after? Well, I’m having that kind of post-traumatic experience after reading two business books. Go figure. First I read Bad Blood: Secrets and Lies in a Silicon Valley Startup by John Carreyrou, at the suggestion of VC Brad Feld. This is a finely investigated and well-written recount of the launch and demise of the company Theranos. I’d read plenty of news stories about the wondrous-to-worthless trajectory of the company, but the book revealed intentional deception practically from Day 1. In addition to numerous instances of outright fraud, the company used quasi mob tactics to suppress glimmers of truth and integrity among team members who pointed out that the proverbial emperor had no clothes. It’s a great and rough read. As an investor, this book has raised my cynicism about startup representations during the fundraising process. Sorry startups. Second, I read Disney War by James B. Stewart, at the suggestion of my friend Carly Gloge, Robotics Product manager at Google-X. The self-serving manipulation of people and promises in this story was reprehensible. At some point in the book, Michael Eisner had committed the role of President of Disney to so many different executives, I lost count. As a Florida girl who revered Disney World so much that she moved away from home for the summer at age 16 to work there, this was particularly dispiriting. So here I am, routinely working with leaders, teams and companies to bring more candor to work — creating environments where people speak candidly and enable others to speak candidly to them — and I have just faced a literary landslide of evidence that this is could all be a pipe dream. But my malaise didn’t last long, because these two stories are in stark contradiction to what I see with the leaders with whom I work. I hear story after story of Leadership Camp attendees who have moved towards revealing their authentic thoughts and feelings, even when it’s scary, because they want to show up more fully at work. Almost all of these stories end in more connection and ease in their relationships. At first, we need to actually start noticing when we are withholding a thought or opinion from someone. In Conscious Leadership, we label a “withhold” any thought we’ve had three or more times. It’s a random numerical delineator, but it’s a nice sign that a thought has real energy and it isn’t easily going away. After we realize we have a withhold from someone (or a team), we consider whether to share it. The main reasons to share a withhold is that failure to do so will increase the distance between you and another person. Withholding can leave us, well, withheld from presence at work. We often take an extra step to build some space around our withholds by noticing whether the withhold is a fact or a mix of facts plus stories (hint: it’s almost certainly the latter). Then we attempt to separate facts from story. We sometimes practice looking at Opposites of Our Story, which may end up altering our view and the content of the withhold. 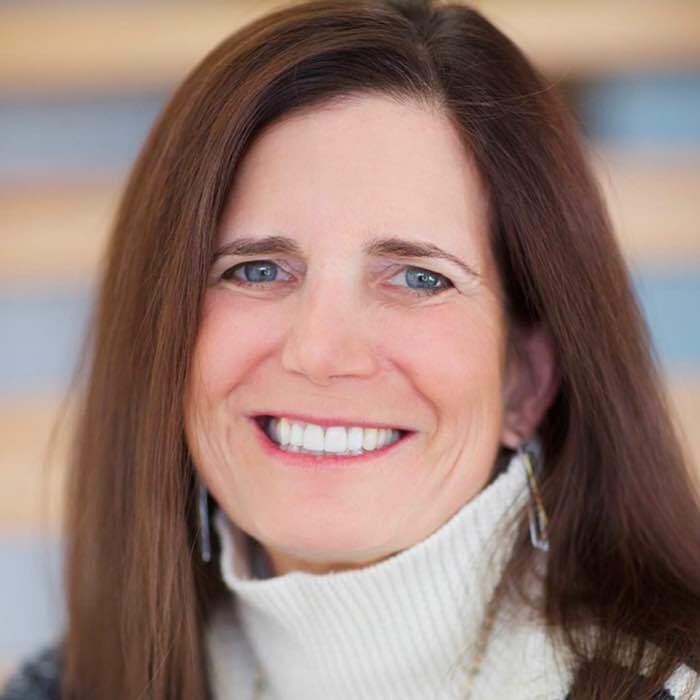 One thing I failed to mention is that in reading Bad Blood, I was truly inspired by the courage of employees who stood for the truth, who chose integrity, who revealed what they saw to people in the company (thinking that leadership was simply in the dark) and to people outside the company (once a few realized there was a scheme afoot). 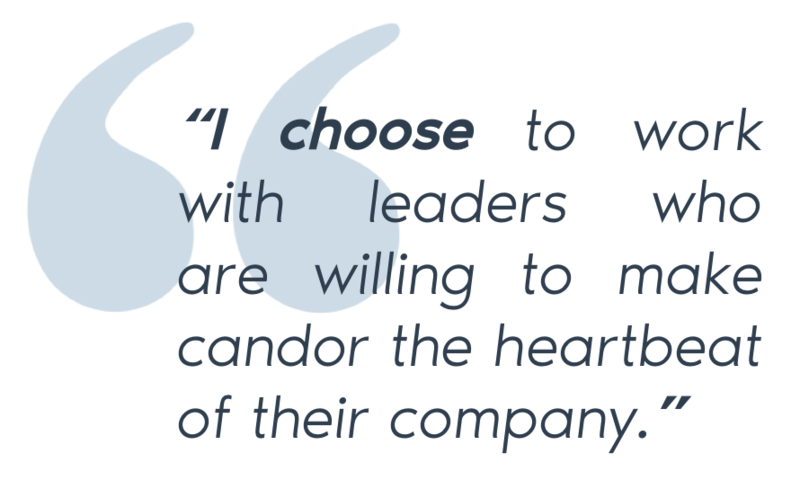 I choose to work with leaders who are willing to make candor the heartbeat of their company. Let’s do this together. If you want more updates like this, sign up for bimonthly leadership game changers today. If you want a deeper dive, check out Leadership Camp, Mini-Camp, and Relationship Camp.